I’ve never used a golf performance tracking system more than a handful of times before dumping it. The tags remain scattered around my house for years, reminding me of the piece of tech I was initially excited about, but eventually grew bored of. But in the Shot Scope I had more faith. The Edinburgh company has clearly done some market research into the golf tracking market, and found the tagging system irks many golfers - it certainly annoys us. And this is where Shot Scope has carved its niche. No tagging required - well, not while you play the hole. 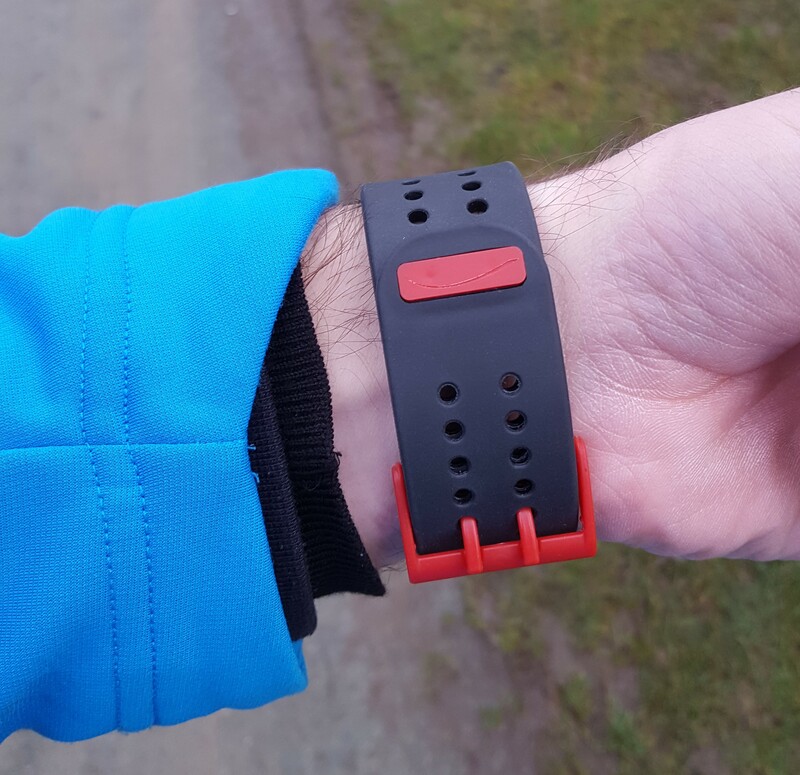 Players inset tags into their clubs, like other systems use, and this connects to a GPS watch. As you play the hole, golfers don’t have to do anything - the system tracks automatically. However, you do have to press a button on your watch relating to how many putts you took as you collect your ball from the hole. The Shot Scope watch is on the chunky side, but it is very light. It’s larger than your average GPS watch, but because of the weight you won’t find it hinders your swing. I’ll be interested to see how it fares over the years, as the teeth on the strap appear to be on the flimsy side. Clearly, no tagging while playing is a monumental coup for Shot Scope, and is the stand out USP. It means the golfer can completely focus on the hole as he/she plays it, which undoubtedly will help golfers play their best. Marking how many putts you took is a small price to pay, and we found it became fairly autonomous as you pick the ball out the hole. It also serves to mark the pin on the system, which allows the system to have an accurate location for the flag - an area competitor technologies struggle. Charging the device is simple, and it holds enough for a couple of rounds at least. Push the top left button and the Shot Scope searches for your location - this takes a couple of minutes, so players need to build in into their pre-round timing. 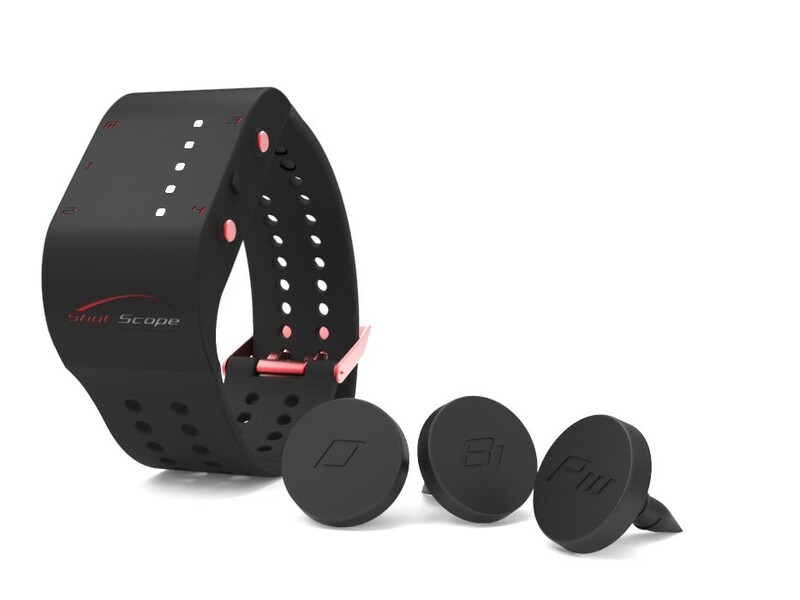 After playing, golfers sync their watch via bluetooth to the Shot Scope website, and can then view their stats either on their phone/tablet or laptop. It's a seamless transaction. In a perfect world, golfers would be able to view their data all within the app rather than being pushed from the app into a browser. However, having the app is a big plus, as it allows players to review their data immediately after playing. Golfers can see their round in an aerial view, and if needed can amend what the system has logged. It’s easy to delete or add shots, or drag your strikes around to change yardages. We are yet to use a device that has logged every single shot without being a couple of yards out on occasion, and Shot Scope is no different. That being said, we were really impressed by the accuracy of the device. We tested it against other leading competitors and found it was one of the most accurate devices. A couple of shots per round will require the golfer’s attention. Normally it was approach shots that were a bit out. For detractors of shot tracking systems, this is where they will primarily point in their critiques - it seems we still do not have the technology in 2017 to perfectly track a round of golf. Over 100 stats are available, and it is displayed in simple, easily digestible nuggets. Your standard “longest drive/fairways hit” are included, as are extraas such as which side you are missing the fairway with your drives, and which clubs you use most frequently. The putting section is excellent, allowing golfers to see their percentages from certain distances, and how many putts they take from given yardages. The best shot tracking system on the market at the moment. 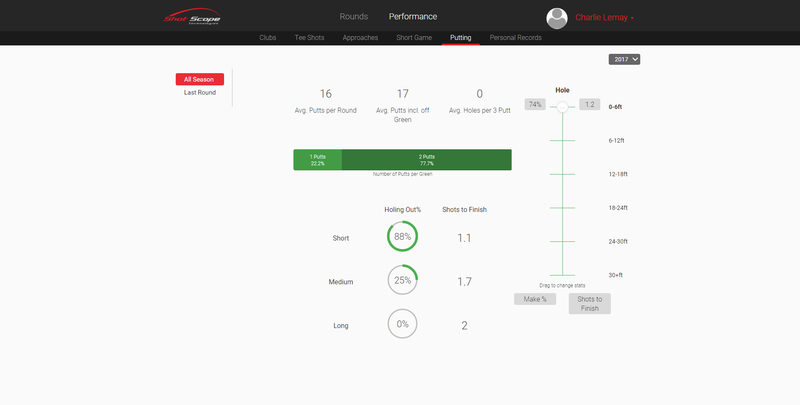 There is no interruption as you play the hole, and the data shown to players post round is easily digestible and informative. The device is easy to use, and is one of the most accurate shot tracking technologies we have used. If you’re a player that wants Tour-level data on your own game, Shot Scope should be top of your shopping list. Head to the Shot Scope website for more. Shot Scope V2 FESTIVE OFFER: save £56 on this awesome golf GPS!